One of the unexpected consequences of my recent breakdown has been rediscovering a passion for reading, study and learning. I have now completed the 8-week Mindfulness programme and I am beginning to emerge from the gloom and look to fill my time positively. To this end, I have enrolled onto the Open University’s Futurelearn programme of free online courses and have just completed the first week of a Mental Health and Well-being 6 week course that I am already getting a lot from. Particularly encouraging and timely has been the fact that much of what I have long-felt to be true – and is reflected in the Green Party’s philosophical basis to an extent – is becoming increasingly accepted as the way forward. Evidence shows that a major contribution to serious emotional distress is not only poverty but particularly income inequality – the growing gap between the richest and poorest people in society. 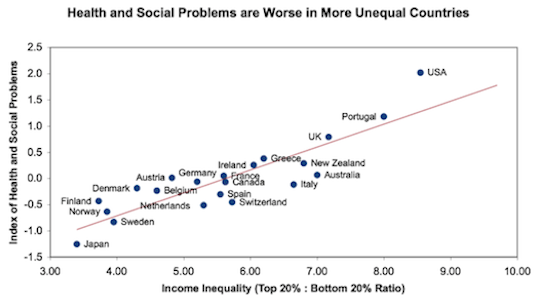 In their influential book The Spirit Level, sociologists Richard Wilkinson and Kate Pickett demonstrate that mental health problems are highest in those countries with the greatest gaps between rich and poor, and lowest in countries with smaller differences. Equal societies are associated with more trust and less paranoia. This suggests that rather than primarily targeting our efforts at individuals, the most effective way to reduce rates of ‘mental illness’ might well be to reduce inequality in society. 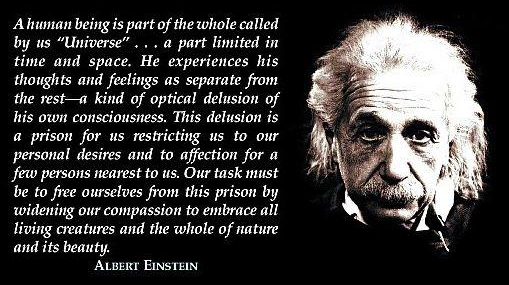 A classic paper on this was published in 1994, entitled Environmental failure – Oppression is the only cause of psychopathology. Whilst some might think that goes too far, there is no doubt that people who have been subject to oppression, and particularly discrimination (racism, homophobia, discrimination on grounds or gender, disability or ‘mental health’) are put at risk by these experiences. We can all work to combat discrimination and promote a more tolerant and accepting society, the paper suggests. Tell that to ukippers! Alcohol and tobacco are unquestionably the most serious substance-related public health issues, but cannabis and other drugs have been associated with mental health problems in general and psychosis in particular. Over-use of recreational drugs appears to make it more likely that someone will experience a psychotic crisis. This does not necessarily mean that we need a stronger clamp-down on drugs and many people (including most Greens) argue that de-criminalising the possession and use of drugs would be an important positive step towards protecting people’s health. It is also important to address the social problems that lead people to turn to taking drugs, including poverty, inequality, unemployment, hopelessness and feeling disenfranchised from society. The supposed ‘war on drugs’ we hear so much about is, according to commentators such as Noam Chomsky, merely a cover for international interventions and, domestically, a distraction that allows repression in the inner cities and an excuse for attacks on civil liberties. The Spirit Level was a book I first read back in 2010, when it was first published. I read a review of it around the time I joined the Green Party and it resonated with the geographer in me and helped confirm my view that the income inequality was quite possibly the most important issue facing the country, the world and our role as guardians of the planet. It is an essential read for any ecosocialist. It has, of course not been anywhere near universally acclaimed, but the solid research underpinning it makes its assertions as irrefutable as, say, the evidence for global warming – i.e. it is only not clear to fuckwits and/or vested interests. Of course, some of those vested interests control our media, so don’t expect rational coverage of such ideas. After all, 98% of scientists are in agreement on global warming, yet the media feel ‘obliged’ to offer both sides of the non-existent debate! The public therefore often form an opinion that there is a lot more controversy than there really is. These attempts to overthrow large bodies of scientific evidence that may have important political implications are a well-established practice, and the subject of another interesting read, Merchants of doubt: How a Handful of Scientists Obscured the Truth on Issues from Tobacco Smoke to Global Warming. It may be beginning to sound as if I have been seduced by conspiracy theories and paranoia. Why would vested interests want to deceive us about global warming and work against drives for a more equal society? Well, don’t take it from me – take it from Noam Chomsky – arguably the most important intellectual alive today. I have been revisiting some of his views on ‘How the World Works’. It has re-affirmed my confidence in ecosocialism as the way forward – and re-inforced my loathing of the USA. Chomsky explains how, ever since the Second World War, successive US governments have been committed to maintaining a right-wing status quo. For Republican, read Conservative (Tory); for Democrat, read Labour (Tory-lite). (Similarly, for Tea Party, read UKIP (ultra-Tory)) This means, in practice, business interests are always allowed to prevail, workers are divided and weakened, and the burden of reconstruction after wars/economic recessions/environmental disasters etc. is placed squarely on the shoulders of the working classes and the poor. Sound at all familiar? This is just a sample of the large scale war crimes the US and its friends (Thatcher and Blair to the fore) have been up to and getting away with. See a fuller selection here (and this is just up to 1999). This makes every US President (and most UK Prime Ministers), since World War Two, war criminals – certainly by the standards they themselves set at the Nuremberg Tribunals. This is up to and including Obama and Cameron. Looking forward, the question needs to be asked as to just how long left-wing progress, in places like Greece (Syriza) and Spain (Podemos), will be allowed before the ‘right’ attempts to orchestrate its catastrophic demise. In the meantime, Syriza in particular has offered us a shining beacon of hope that change via parliamentary democracy may yet be just about possible. There have been rumblings of change around the globe. The Arab Spring and Occupy have been effectively nipped in the bud, but what of rumblings in these isles? There is a very tangible wave of anti-Westminster sentiment sweeping the land from an eclectic range of sources; be it UKIP, the Scottish YES campaign, the anti-austerity alliance (potentially) of the SNP, Plaid Cymru and the Greens, or Russel Brand’s no-vote ‘Revolution’. “Between 1980 and 2000 democracy experienced a few setbacks, but since 2000 there have been many” Really? This is a classic example of right wing propaganda. It is targeting the politically literate (maybe 20%) who may have some role in decision making. Their acceptance of the underlying doctrine is crucial. They are constantly drip fed it through the broadsheets and the BBC. The vast majority, however, are sometimes characterised as ‘the bewildered herd‘.They are supposed to just do as they are told and put their trust in the ‘responsible’ people. They are the target audience for the less subtle mass media – the tabloids, the sitcoms, Premier League football etc. The undermining paradox of tory doctrine (be it the full-fat, lite or ultra variety) is that creating greater inequalities actually increases the need for big government – more police, more prisons, more health and social services. These services are always expensive and never fully effective. The most effective and civilised way to achieve the Tories’ purported dream of a smaller state is reducing inequality. The Scandinavians sussed this out a long time ago. It is not rocket science, so it suggests that Chomsky’s critique is the one prevailing. There will be no ‘good example’ here in a hurry! Corruption and the unbridled greed of the ruling classes will see to that. Thatcher and Blair have embedded a tolerance of this in the UK public, which we see today in the pro-austerity agenda of the Con/Lab/Libs at this General Election. The Labour Party has to take the greatest responsibility for perpetuating the appalling status quo. We expect nothing else from the Conservatives, but with its history of emerging from the workers movements and trade unions, with proud achievements such as the creation of the NHS, the Labour Party has become a disgusting travesty. Watching Lord (vomit) Kinnock and Saint Blair milk their status to the max must be making Milliband’s mouth water. After all, Kinnock never even managed to win a General Election, losing two even when Thatcher had been rumbled as the Wicked Witch of the West. I guess this is what I am hoping to achieve as my contribution to the revolution we need to bring about. We need to address the bewildered masses. We are on the right tracks. We need to keep asking questions, keep demonstrating, keep writing letters, keep voting. It has to be sustained and organised. We need to keep learning from our mistakes and keep working with the right people in a non-sectarian way for the common good. But we had better watch our backs and beware of the biggest single threat to any possible peaceable revolution, ‘the world’s rent-a-thug’ as Chomsky calls the USA, appropriately enough. History tells us that when they feel the winds of social change gathering momentum, they will stop at nothing. With the British Establishment as longstanding allies, it is almost certain to get ugly at some point. This entry was posted in Uncategorized on April 26, 2015 by Bridgend's Green Leftie.